What a wonderful film festival! We had a record number of films, members and ticket sales. More than 350 volunteers donated hundreds of hours to welcome and support over 100 filmmakers and industry experts and our fantastic Ashland audiences. THANK YOU! Please save the date for five days and nights of film and fun April 6 -19, 2017 when we will undertake our Sweet 16th Film Festival. Don't miss Varsity World Film Week. Seven Days. Twelve Fabulous Films. Three Theatres. Special Passport Card Pricing. Details available soon at ashlandfilm.org. Your support enables AIFF to keep its doors open throughout the year presenting our three core programs: Special Screenings, Varsity World Film Week, and the Ashland Independent Film Festival. Visit our website for a complete listing of award-winning films. You can also find hundreds of photos by our crack team of photographers on our Flickr page. GiveFilm: 281 tickets, valued at $3,653, distributed free to local children, youth and families in-need. Free programs including LOCALS & LAUNCH film competitions (120+ film submissions) and screenings (4), three TalkBack panel discussions and Community Conversations, plus nightly AfterLounge parties. Over 1,200 free tickets distributed for these programs and events. Volunteers: 350 amazing, wonderful and hard-working volunteers, 2/3 of whom were returnees; 18% aged 24 and younger. OLLI (Osher Lifelong Learning Institute) distributed 300 tickets to 5 films for 60 participants as part of the OLLI Goes to AIFF class. School groups from six area schools attended. "The only word that really sums up AIFF is passion. Passion from a dedicated staff, from amazing audiences, and from the whole town in general. There's an electricity around this thing. I feel like it's a really exciting time to be a part of this festival." "We had such a positive experience at the festival. The other films we watched were fantastic, the group of filmmakers who attended were world-class, and all the logistics of hosting events, and running such a large festival were handled superbly. Thank you for programming Voyagers so that we were able to bring this story to Ashland and share it with so many. Thank you for giving us multiple screenings in a small, intimate venue, and for the technical excellence in the sound and projection, and allowing us to enjoy enthusiastic Q&As. Everything made it possible for the audience to connect to this story and to have a moving cinematic experience." "One of the best run Festivals this side of the Rockies. Amazing consideration and support of filmmakers and moviegoers alike. 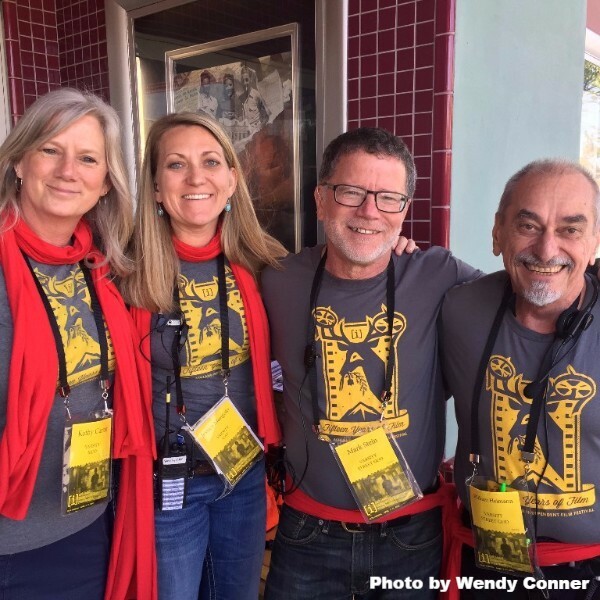 The Ashland Independent Film Festival has a phenomenally dedicated staff who continually goes the EXTRA mile to make sure this Festival is one that no one should ever miss! Ask the variety of people who attend: local and out-of-towners alike. This city comes alive every year with the energy of great movies, amazing filmmakers and truly appreciative moviegoers." "This was my first film festival. I was amazed what a better experience it was over just going to the movies. The Q&A with the directors and actors was amazing. Amazing how much I learned about what goes into making a movie. I found myself more deeply affected by the whole experience than I expected." KDRV NEWSWATCH 12 offers more local news than any other area TV station â€“ broadcasting 31 hours per week. Launched on September 16,1985, KDRVâ€™s news department known as NewsWatch 12 has consistently been the #1 news operation in the Medford market for the past two decades. News coverage begins at 5 a.m. on weekdays followed by an hour of mid-day news from 11 a.m. to noon, and evening reports from 5-5:30 p.m., 6-7 p.m. and 11-11:30 p.m. You can watch local news live, or on a live stream via their website kdrv.com. There are also frequent updates on KDRV's Facebook, Twitter and Instagram feeds. And for breaking news on the go, download KDRVâ€™s free app which includes push alerts anytime there is important news. KDRVâ€™s newscasts have received numerous awards, including several National Association of Broadcasters, Associated Press and Emmy Awards. Thanks to KDRV for helping us get the word out about our fabulous films and events, and for providing airtime for our public service announcements as one of AIFFâ€™s 2016 sponsors! We couldnâ€™t do it without you. 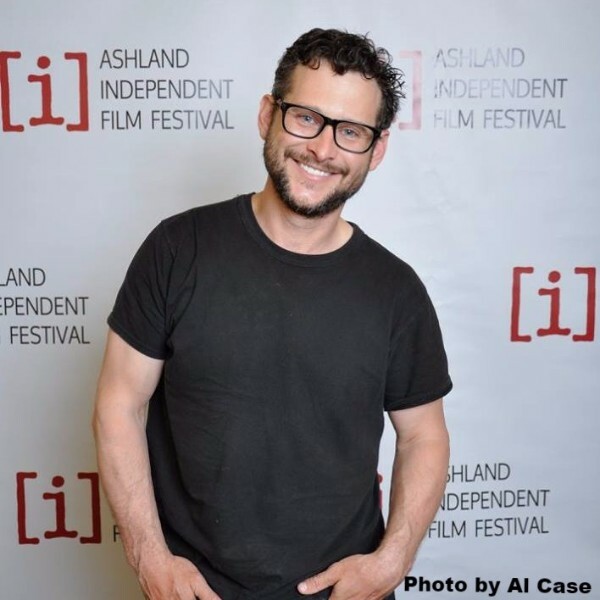 NewsWatch 12's Genevieve Reaume had an exclusive interview with Alex Simmons and Flula Borg, the director and co-star of Honey Buddies (now Buddymoon), a film featured at AIFF2016. Click here to watch the interview. Copyright Â© 2016 Ashland Independent Film Festival, All rights reserved.